Lately I have felt the mysterious hand of fate at work very close to the surface in my life, creating new and amazing chapters. I am learning to be more receptive to this energy and am grateful to have the opportunity, in living the way I do, to answer its call with increasing fluidity. I have been in a pattern the last few years of heading south in the fall, and was planning to do so but first decided to make a special gift to take with me for some very dear friends. I won’t say too much about it for want of keeping their surprise, but suffice it to say that during the carving process, which involved a lot of circles, I stumbled upon a peace sign. It was completely by accident and resulted as a matter of placement. I immediately began sifting through all the archived leaves in my collection and there it was—again and again, repeated in almost every leaf. I was stunned that I had overlooked the obvious for so many years. I had always sought out what made each leaf unique; looked for new images and unusual forms. In doing this, I neglected to absorb the unifying elements. And in the case of leaves, one of the unifying elements happens to be where the main vein of the leaf branches out to the sides. 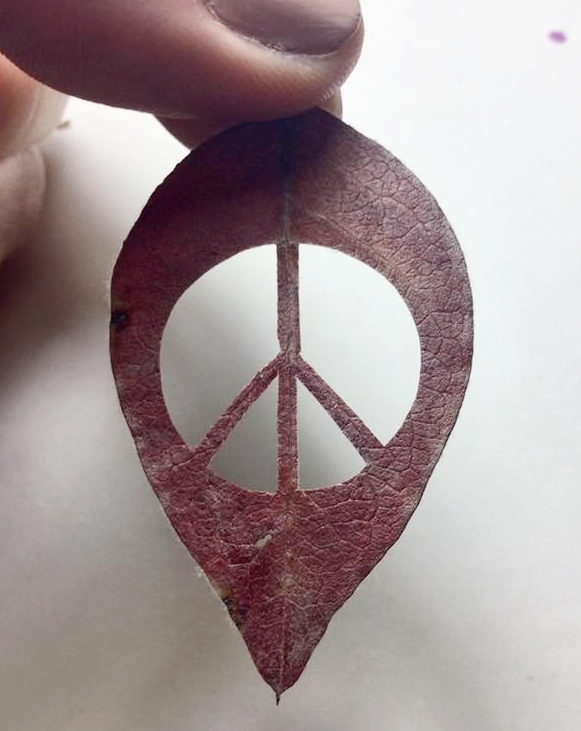 Somewhere along that length, there seems to be a place where two of the side branches sit symmetrically, forming the foundation for a peace sign. Although not universal, it appears to be present in an uncountable number of leaves. 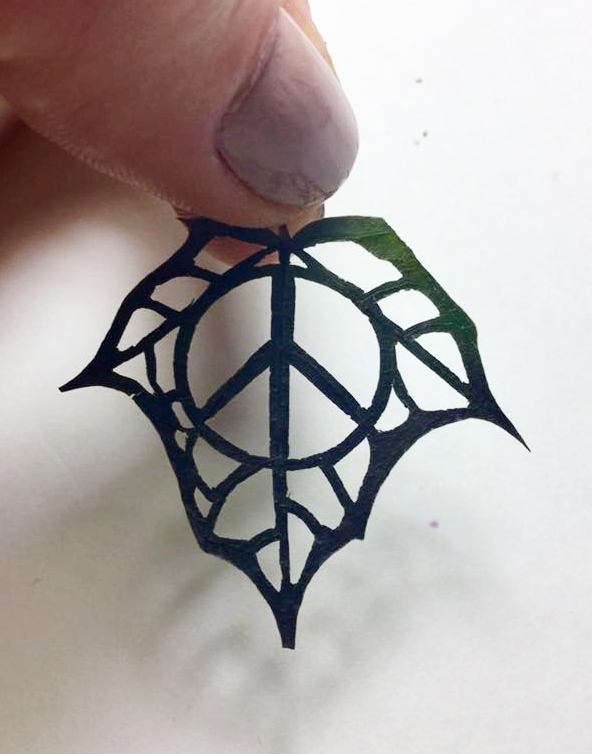 Upon finishing the original piece I was working on, I spent a full day carving this design again and again in the small leaves in my collection. Time slipped away and became abstract. I was consumed in my carving with an contented enthusiasm I haven’t felt in quite a while. 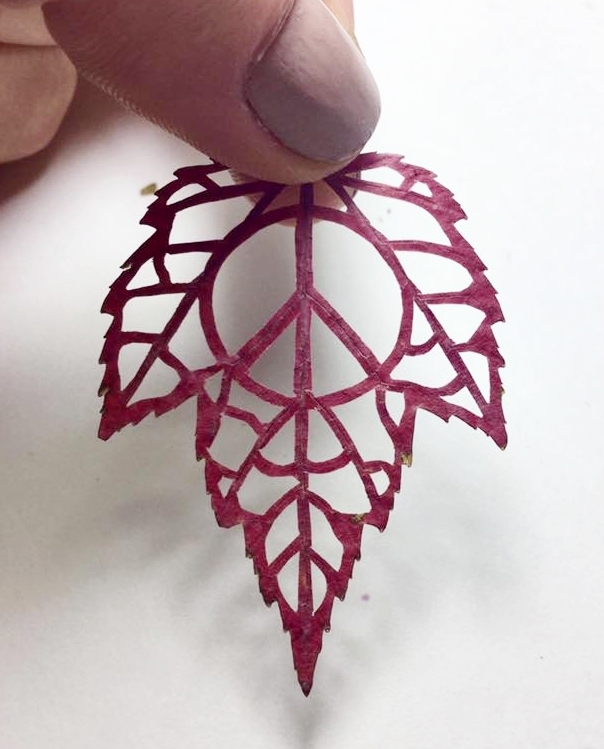 Each leaf expressed this same design in its own beautiful way. And then it hit me: this was filling the gap I had been feeling the last couple weeks—it was the missing factor to the equation. How revelatory to have discovered such a thing, at a time when the world seems to need peace more than ever. It was then that I realised what I must do. 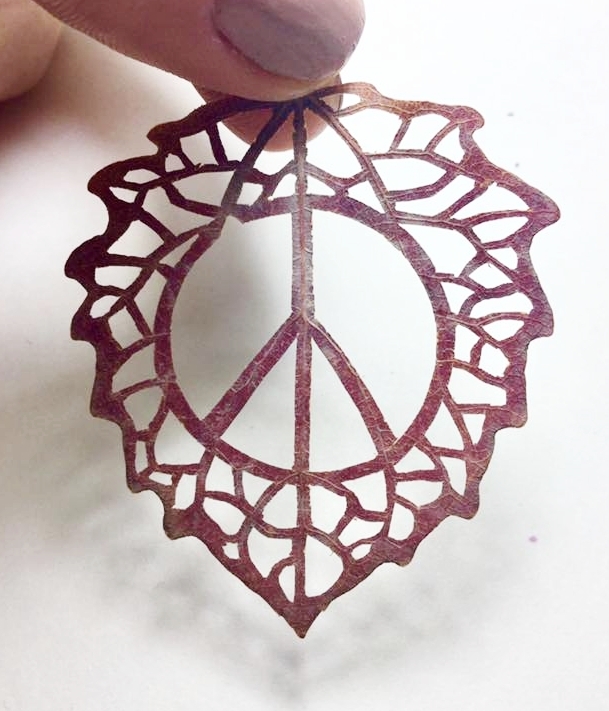 If there is any thought I would like these pendants to remind us of, its that we can be the change, and the peace, we would like to see in the world.